Jablunkov (set out on the green marked-path) - Ameryka (open-air swimming pool, bowling, restaurant) - Polanka (restaurant, bowling, open-air swimming pool, ski lift) - Gírová (chalet, panoramic views). Hrčava (set out on the yellow-marked path) - Hrčava/Jaworzynka (PL) border crossing - Komorovský Grúň - Gírová (chalet, panoramic views). 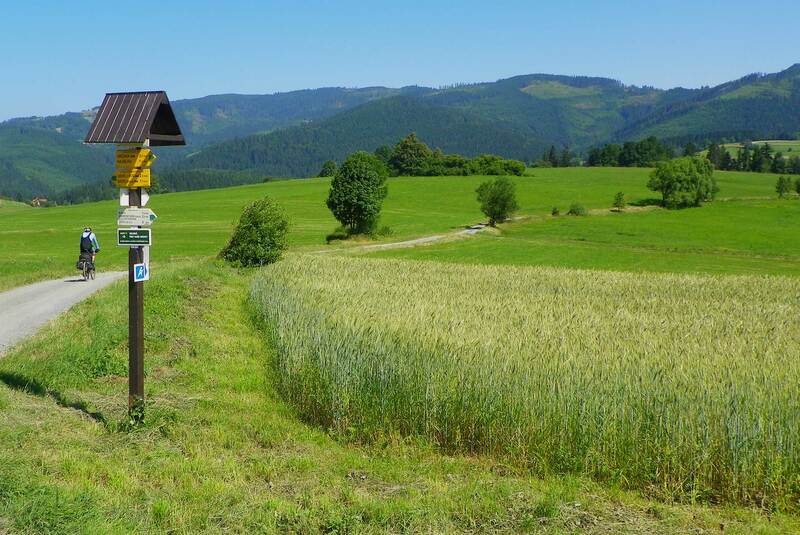 Bukovec (set out on the red-marked path, pub, regional museum, road border crossing) - Komorovský Grúň - Gírová (chalet, panoramic views). Go by car or bus along the road to Hrčava. The green-marked path leads from the Markov bus stop. The ascent takes about 20 minutes and the final stage is up a relatively steep slope through forests.